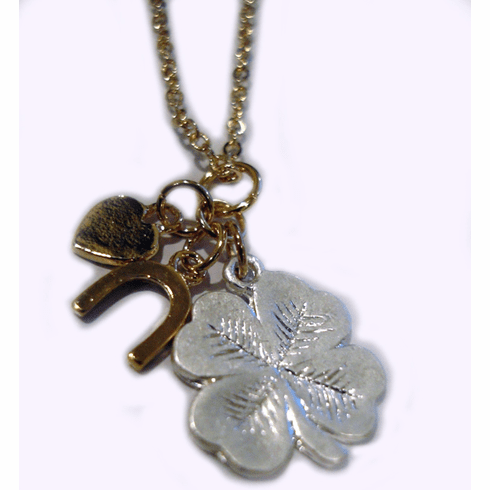 Be ever so LUCKY in this clover cut out pendant necklace. Includes additional clover charm with sparkling crystals and a lucky crystal pendant. Mirror gold color with adjustable necklace which measures 16 1/2" inches to 19" inches.